SquareSpace is giving away iPhone gift cards on twitter. They have only 8 more to give out though, so enter soon. Cold Climate Gardening is giving away a pair of Ethel Gardening Gloves. They have a review of the gloves along with the post as well, so if you're a gardener like I am, you'll appreciate a pair, especially for FREE! Contest ends July 3rd. Spots on my Apples is giving away an Aveda Skincare set. Deadline for entries is today 1:59 PM CST. 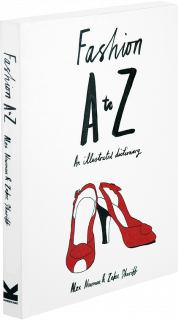 Swelle Giveaway: Fashion A to Z: An Illustrated Dictionary It covers every detail, accessory, garment and costume you can imagine and gives a brief history of the item so it's a great way to expand your fashion brain. Writer and designer Alex Newman wrote the book and the fun illustrations that brighten each page are by renowned fashion illustrator and designer Zakee Shariff. The contest will run until midnight (London time) Thursday, July 9 and the winner, chosen at random, will be announced on Friday. Anyone, anywhere, can enter! 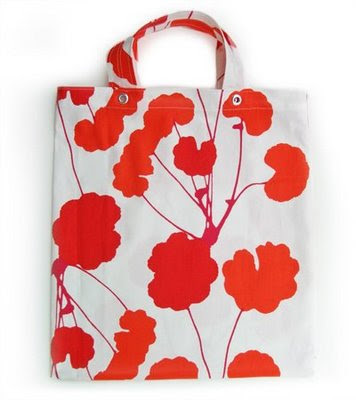 On the How about Orange Blog you have a chance to Win a Stash Shopping Tote made of Marimekko fabric. Deadline for entries is midnight CDT on Thursday (7/2/09), and a random winner will receive this hip red-orange shopping tote. So what are you waiting for? Hoping we've helped a little by providing our readers a chance to win something cool. Enjoy!